Ohhhhh, yes I know that song, I guess I just didn't know the title. Hi Fernando! 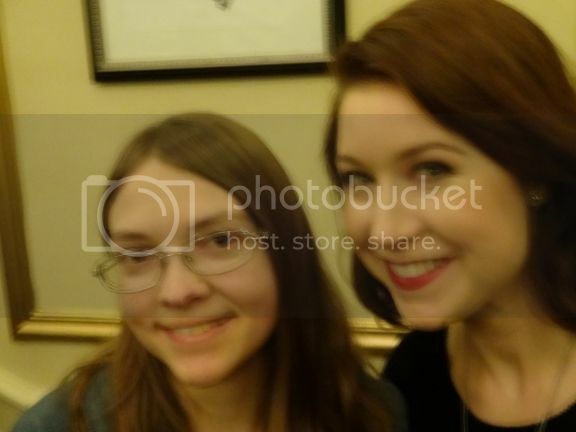 I first heard of you when you toured with David Foster in Asia, because I'm a big fan of Hayley Westenra. I loved your duet with her, and I'm very glad you're finding new success with Forte! If you guys ever do a tour, it would be great if you could invite Hayley along as a supporting act! And guess what! Fernando "liked" my post! So, at least I know he saw it. Don't know if he has any say one way or another, but at least I've put it out there, just in case. Forte's new self-titled album was just released on Nov. 12th, and already it's landed the 4th spot on Amazon's bestseller's list! I'm not sure if that's still true today or not, but it's still pretty good! And on Barnes & Noble, it's ranked 7, as of today. Forte's new album is currently No.3 in Amazon's Best Sellers in Music chart, and No.1 in Vocal Pop. I don't suppose you found that out from my FB post last night/early this morning, did you? I posted that there not long after I made my last post here, but I didn't take the time to come back and update it here. I checked the Amazon Best Sellers lists myself yesterday morning. The current situation is that Forte's album is No.2 in both the Music and Pop charts, and down to No.2 in Vocal Pop. Susan Boyle's 'Home For Christmas' is No.1 in all three charts. Well, it was #1 on Barnes & Noble yesterday, and I can proudly say that I helped with that, because it was #7 when I first ordered it the night before. Can't have sold many then, id one purchase made it jump 7 places. Do you really think I was the only one to buy a CD since the night before? Why must you put a damper on things? Well, now it appears they're getting ready to record a new album. They posted that you can even pre-order the CD now, and you can get all kinds of merchandise, signed stuff, etc. It's kind of weird to pre-order a CD that doesn't even exist yet, so I think I'll wait. I'm wondering if it's a way to get finanical support ahead of time? But I wouldn't think you'd get charged until the CD is sent to you. At least that's the way other companies work when you pre-order from them. Here's a new Game of Thrones music video they made! I like Hana's voice. I did back on AGT, too, and I was sad when he left. Since Fernando is no longer with Forte, I recommend removing his name from the thread title. We can always create a new thread for Fernando later on, if need be. Maybe change the title to something like: Forte - America's Got Talent crossover group... or just leave it at Forte. I think Forte is the perfect title, so I've changed it. I think they might be a bit older than they used to be. Change the name to Fifte. Martin, what sort of drivel are you on about now? I should think you know what the word forte means. He should do, but it's not his forte!